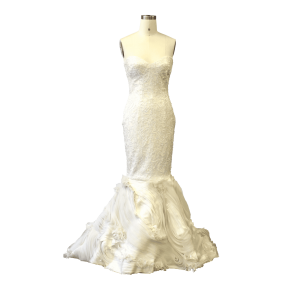 A soft sweetheart neckline, strapless gown that features floral contrast beading on the bodice. 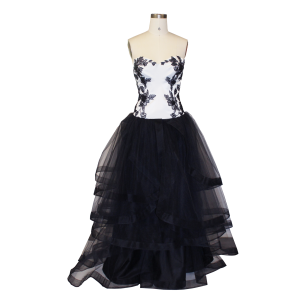 The skirt is made of layers of soft tulle edged with horsehair. 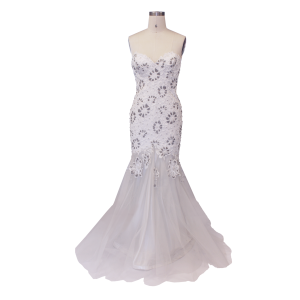 This sweetheart neckline, strapless mermaid silhouette gown features all over bodice beading. The beaded body flows into a heavy tulle skirt with floral beaded appliqués. 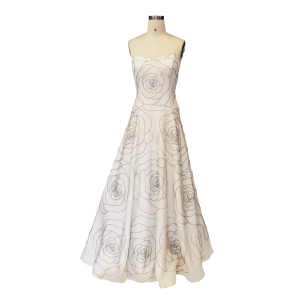 The open low back is edged with the natural floral shapes of the body lace fabric. This sweetheart neckline, strapless gown features geometric bodice beading. 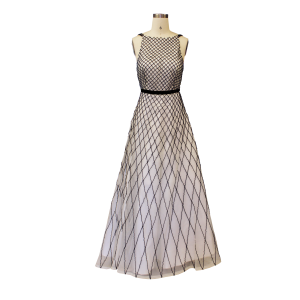 The layers of the matte organza skirt is trimmed with strips of contrast glossy organza. 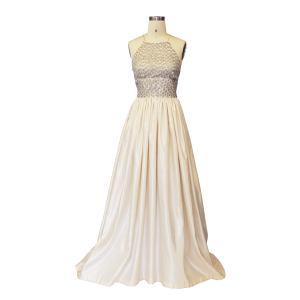 A sweetheart neckline, strapless fit and flare gown that features all over hand beaded rose motifs in contrast gold seed beads. 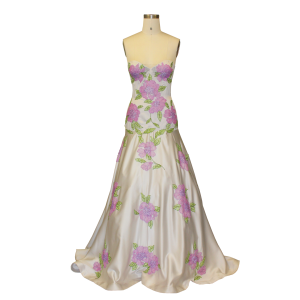 The gown is made of a unique sueded twill fabric. 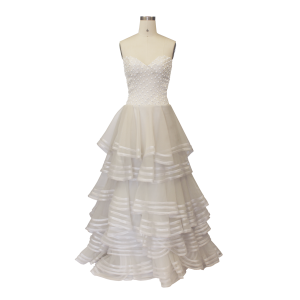 A sweetheart neckline, strapless ballgown that features all over directional beading on the satin bodice. 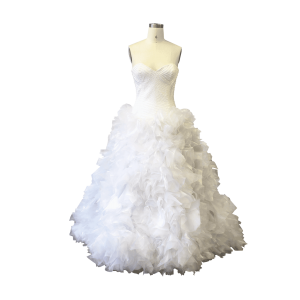 The full ballgown skirt is made of a riot of raw edged organza and tulle tufts closely sewn together.